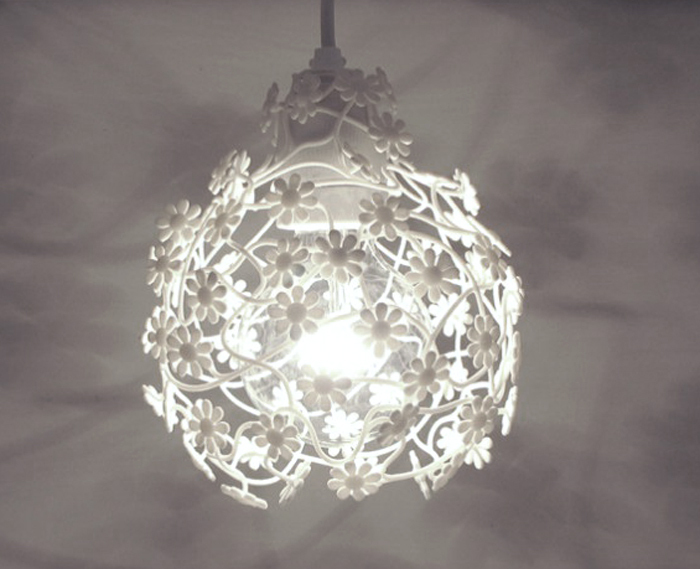 Organic, decorative forms and the in general impersonal computer drawings come together in the flowerlamp. 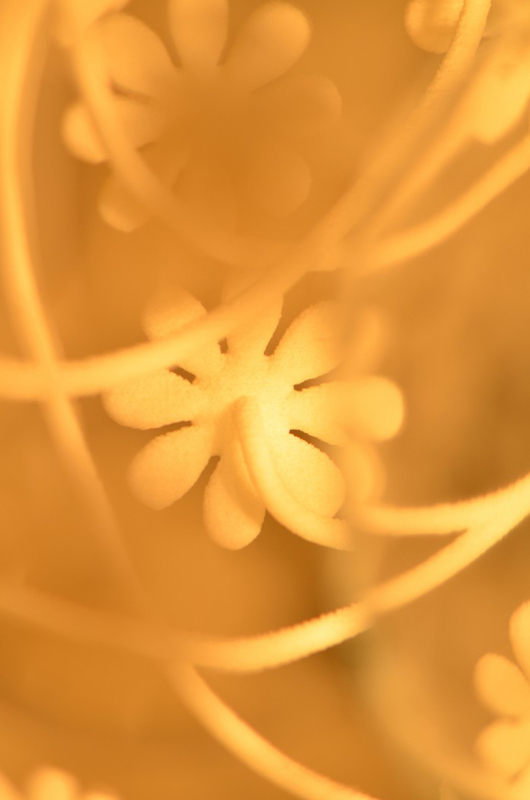 Grown out of the computer, flowers cover the light bulb like a light shade. Decorative patterns appear on the wall when the light is turned on. 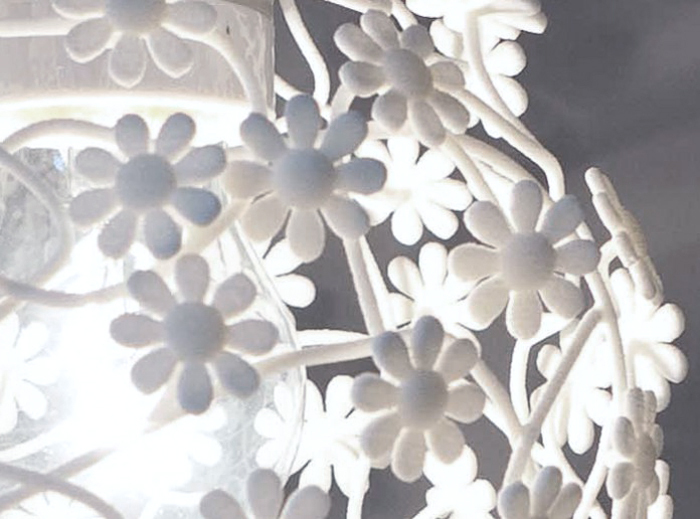 The flowerlamp is 3d printed out of nylon. The technical computer drawing was realized by Willem Derks.